Here is the second of my Zoya polishes as promised. 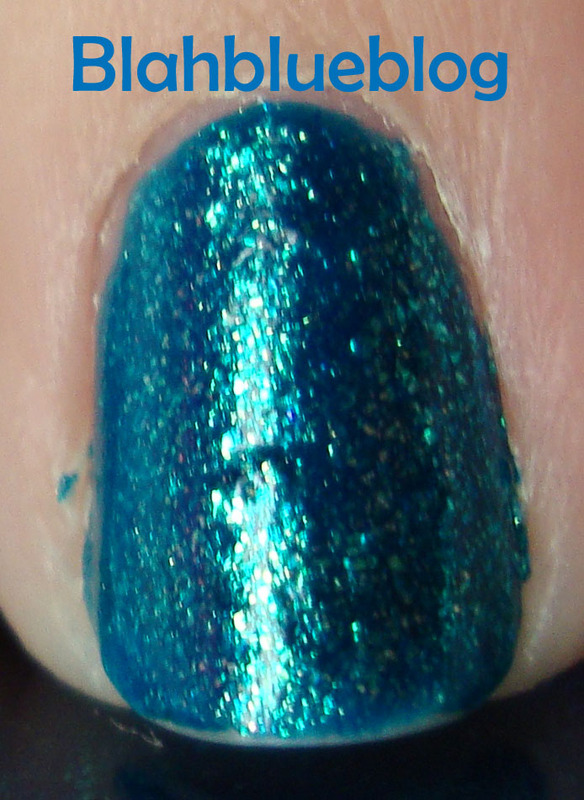 Charla from the 2010 Sparkle Collection is described as: a tropical blue sparkling metallic. An expensive-looking metallic shade for summer. Thankfully the formula is excellent and dries quickly and lasts forever, maybe there was something wrong with my Gemma? Honestly I wore this polish for 5 days with minimal tip wear without a top coat.